In Malaysian Borneo, since mid-December, wildlife officials have struggled to save the life of Iman the Sumatran Rhino. Iman is one of two of the critically endangered animals living at a wildlife reserve under the care of the nonprofit Borneo Rhino Alliance and Malaysia’s Sabah Wildlife Department. 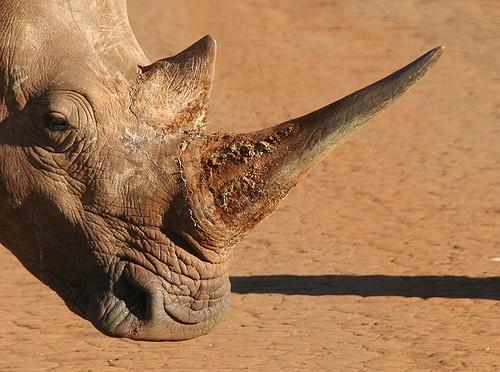 Captured in the wild in 2014, she has suffered from medical complications relating to a uterine tumor. The tumor burst, causing heavy bleeding from her uterus starting December 14. 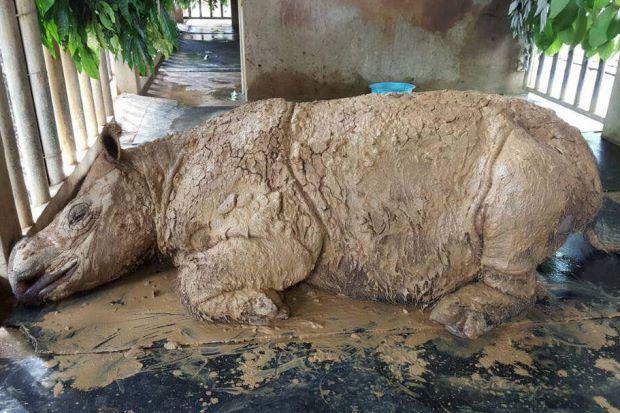 Iman initially refused to come into her indoor night quarters, remaining in her preferred space, a mud wallow, where she refused food and treatment for days. Coaxed into her night quarters December 18, vets began trying to feed her and conduct exams and medical treatment. 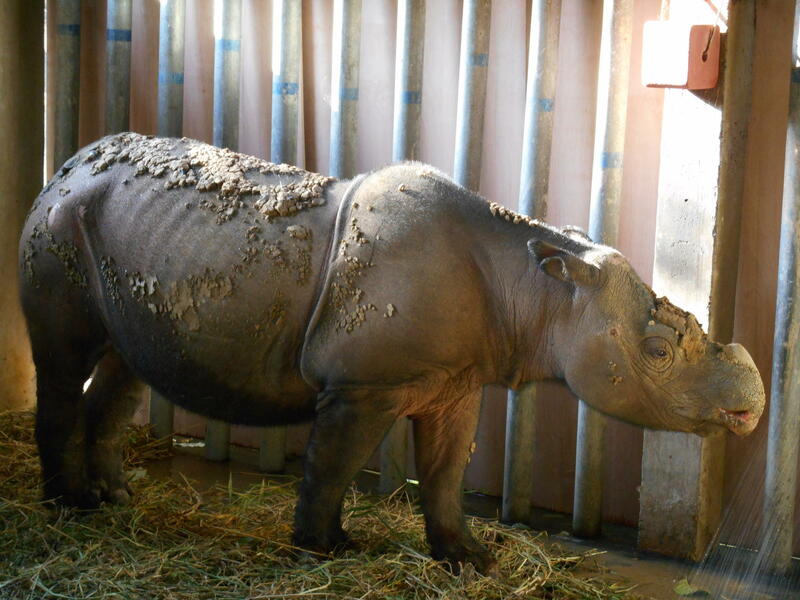 Critically endangered Sumatran rhino Iman in her night quarters, where veterinarians and her caregivers are fighting to save her life. While she began to eat, the bleeding didn’t stop, and after consultations with experts around the world, last week the team caring for her concluded that the endoscopic cauterizing of the bleeders inside her was too risky of a procedure to undertake, and that there wasn’t anyone capable of performing it, considering how weak she is. The Star Online reported yesterday experts from the United States, Africa and Germany all have consulted with her caregivers in Malaysia, and with surgery ruled out, Sabah Wildlife Department Director Augustine Tuuga told the news source “We will use non-invasive means to reduce the bleeding”, adding that the rarest of rhinos is “sometimes lethargic as she loses significant amount of blood each day”, sleeping half the day, eating the food provided for her several times a day – about 15 kilograms total. He said caregivers were hand-feeding her, including fruits with medicine inserted into them. Her concerned keepers managed to pick some of Iman's favorite food, a certain kind of wild mangos that her caregivers picked from the jungle around the Tabin Wildlife Reserve, where she and a lone male live. Not allowed into her mud wallow, Iman is being packed with mud three times a day in her night quarters, (as you can see in the post we have today on this story at our website). 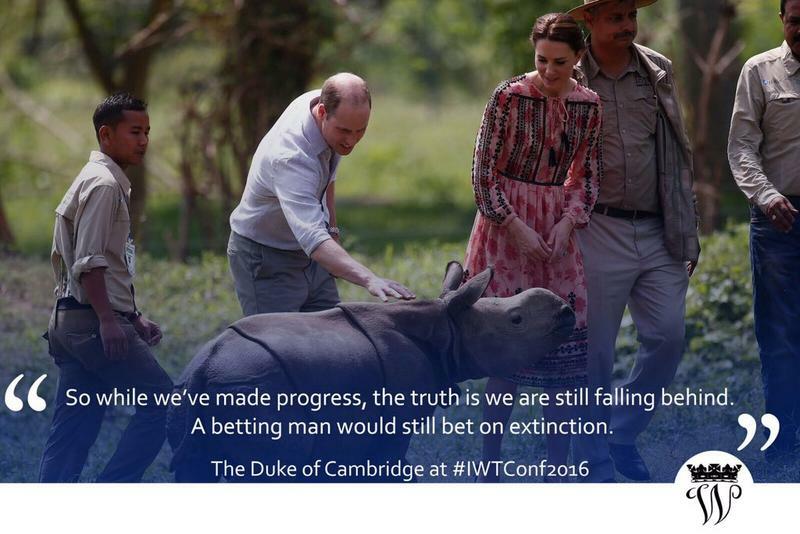 Her keepers can’t risk letting her into the mud wallow, where she could again deny treatment. For now, her vets and caregivers will continue the non-invasive treatment in her night quarters. Director Tuuga told The Malay Online “We hope that this will allow her time to heal and probably stop the bleeding”. In addition to Iman and Tam in Malaysia, the Sumatran Rhino Sanctuary has seven of the rhinos in a protected reserve, including two born there following groundbreaking research at the Cincinnati Zoo that led to the first captive breeding of the animals in over one hundred years. 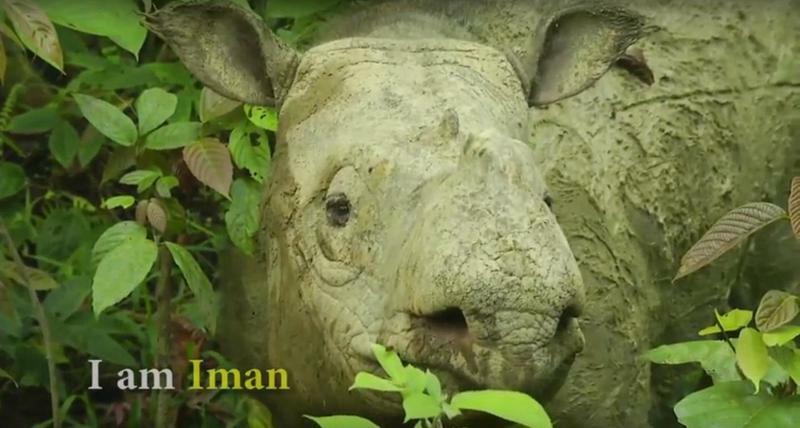 Learn more about Iman at the Borneo Rhino Alliance website, where you can make a donation to the nonprofit caring for Malaysia's last two Sumatran rhinos and learn more about the struggle they face. They are also on Facebook, where you can share Iman's story with others who love animals.